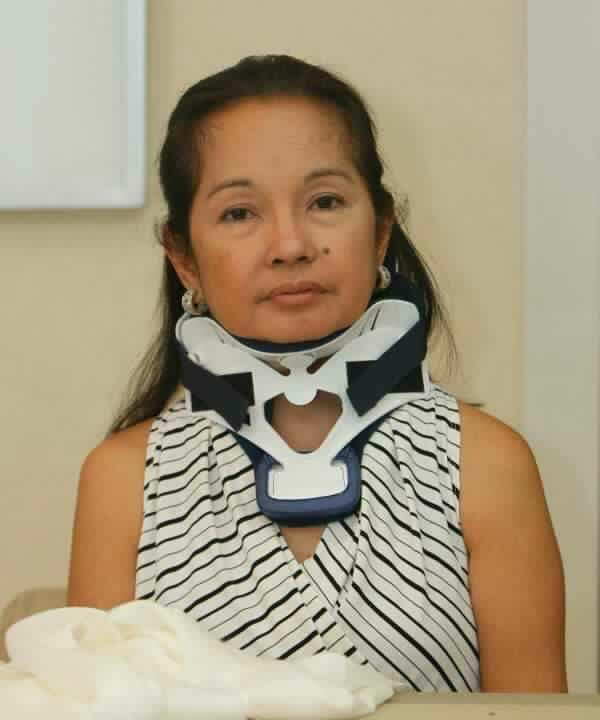 Former President Gloria Macapagal-Arroyo’s court-ordered transfer from St. Luke’s Medical Center in Taguig City to the Veterans’ Memorial Medical Center (VMMC) had been delayed for several hours because of a disagreement about how she will be transported there. A major unforeseen factor that came into play in this unfolding drama is today’s weather. The heavy rains had forced a cancelation of afternoon elementary and high school classes in Metro Manila. The camp of the former leader is insisting she travel by land, with spokeswoman Elena Bautista-Horn even saying that it is alright for them to ride a taxi on the way to VMMC. She explained that Arroyo was fearful of traveling by air since she has been involved in two chopper accidents herself in the past. “She has trauma especially now with the bad weather,” Arroyo lawyer Laurence Arroyo (no mention if the two are related) told ABS-CBN News Channel. Interior and Local Government secretary Jesse Robredo earlier said that the government favors airlifting GMA to VMMC because it is more “convenient” and “for security considerations.” A close GMA aide, Joe Smith Medina, wrote on Fcebook that the former president actually woke up at 5 AM, expecting to be transferred by land a couple of hours later. * According to a 2008 article in the Philippine Daily Inquirer, Arroyo survived an accident after the helicopter she was in crash-landed in Manila sometime in 1994 (she was then a senator). Luckily for her, she managed to recover fast enough to still have a meet-and-greet opportunity with then-US President Bill Clinton, at that time on an official visit to the Philippines. 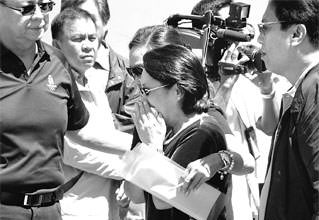 * In April 2009, eight members of her official family perished aboard a presidential chopper, most notably Jose Capadocia, a veteran journalist and press undersecretary , while en route to Ifugao from Baguio City. They are the advanced party for an activity that President Arroyo was supposed to attend the day after the tragedy. This entry was posted on Friday, December 9th, 2011 at 6:48 pm	and tagged with benigno aquino III, elena bautista-horn, gloria macapagal-arroyo, jesse robredo, jose capadocia and posted in commentary, journalism, philippines, politics. You can follow any responses to this entry through the RSS 2.0 feed.